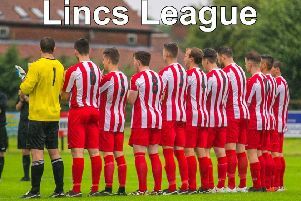 Skegness Town’s Lincolnshire League clash at Market Rasen Town on Saturday was postponed due to a waterlogged pitch. The result leaves the Lilywhites two points clear of Hykeham Town at the top of the table, and with three games in hand. Town were due to face Harrowby United Reserves on Saturday, but the Arrows have withdrawn from the league, meaning their next fixture will be at Grimsby Borough Reserves on March 4. Skegness will face Wyberton in the final of the Lincs Senior Cup after they beat Coningsby in their semi-final.